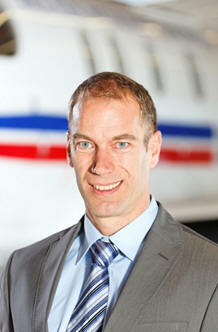 November 15, 2012 - At the meeting of the Board of Directors of Switzerland based Pilatus Aircraft members voted to elect Markus Bucher as the new CEO and Chairman of the Executive Board with effect from January 1, 2013. He will take over from Oscar J. Schwenk, who will remain as Chairman of the Board of Directors with responsibility for the strategic management of the company. Originally from Lucerne, 47 years old, looks back on a successful career of over 25 years with Pilatus, working in Production Logistics, Sales and Customer Service, with additional management experience in our Aircraft Assembly and Maintenance Units. During his time in these areas he managed a series of highly demanding international customer projects in addition to successfully implementing a range of complex internal organization projects. “I’m delighted we’ve been able to fill this important post with an experienced, pro-active Pilatus employee who is both intimately familiar with our customers’ needs and acquainted in detail with our internal processes.” As CEO and Chairman of the Executive Board of Pilatus Aircraft Ltd, Bucher will be responsible for implementing the company’s strategic objectives, managing major projects and expanding the existing infrastructure. In the future, Schwenk will return a greater part of his attention to his work as Chairman of the Board of Directors. He comments: “The appointment of Markus Bucher as the new CEO fully restores the basis for effective corporate governance at Pilatus”. Besides acting as Chairman of the Board of Directors, Schwenk will continue to lend support to the acquisition of major orders as well as heading up the senior project management of the key PC-24 development to ensure that this twin-engine business jet grows into yet another Pilatus success story.